A number of research articles suggest that women are more susceptible to mild Traumatic Brain Injury. In fact, female college athletes have a higher rate of concussion compared to males when playing soccer (2.1 x greater risk), softball versus baseball (up to 3.2 x greater risk), and basketball (up to 1.7 x greater risk). So, why the difference? Research and anecdotal evidence has turned up three possible reasons: cultural differences; hormonal differences, or physiological differences. Some experts have said part of the reason for increased concussions in females may be due to the reporting rate — that women are more likely than men to notify a coach they are injured, whether due to a head injury or other concern. Cultural differences indeed indicate a reluctance among males to report any injuries for fear of being removed from play. However, because of the very nature of concussion being a clinical diagnosis that usually depends on self reporting, it is hard to say that the incidence differences between the genders is due to honesty. Other research suggests that hormones including estrogen, oxytocin, progesterone, and testosterone, affect recovery times from concussion. Of course, men and women have vastly differing levels of these hormones. One published study from the University of Rochester (NY) has also shown that menstrual cycles play a part in healing from head trauma. The research showed that women in child-bearing years experience greater cognitive decline, delayed reaction times, extended periods of depression, more headaches, and longer hospital stays and return-to-work plans compared to men following head injury. Other articles suggest that longer and weaker necks of female athletes influence the potential for greater cervical injury and flexibility of the cervical ligaments. During a 2013 Youth Sports Safety Summit presentation, recent findings from athletic trainers showed neck strength and rigidity could help lower the chance of concussion. For every one pound increase in neck strength, odds of brain injury fell by 5 percent. Consequently, some the nation’s foremost authorities on concussion suggest female athletes participate in daily neck strengthening exercises. Other research suggest that there are different neuronal connections between the hemispheres and significant lobes within the cerebral cortex for men and women potentially influencing recovery time. A recent Georgetown University Medical Center study showed that mice with a single head injury temporarily lose 10 to 15 percent of the neuronal connections in their brains, which can be repaired when at least a week of rest is provided. The fact that male and female brains are “wired” differently could account for a higher incidence of and/or a longer healing period after brain injury in women. Realistically, interplay of all of these factors could potentially influence the differences in concussions between the number of concussions of female athletes and their recovery. Periodically when I’m seeing patients in our HeadFirst concussion clinics, parents will ask me about a different brain trauma-related studies that they’ve heard about. These questions range from studies about concussion-healing chocolate milk to eye tracking devices to the effectiveness of helmets and different sports bands preventing head injuries. Presently, NO concussion treatments have been approved by the United States Food and Drug Administration (FDA). Likewise, the FDA has yet to approve of any devices that prevent concussions in the first place. No helmets, no mouth guards, no sports band or other piece of technology in any way shape or form has been demonstrated to completely prevent concussions. I typically advise parents to be extremely cautious with new research or technology, or with the promises of concussion treatment. Instead, parents should seek out a concussion specialist who has years of experience treating these injuries and utilizes multiple methods in their assessment, diagnosis, and treatment planning. Can chocolate milk heal concussions? Don’t count on it. 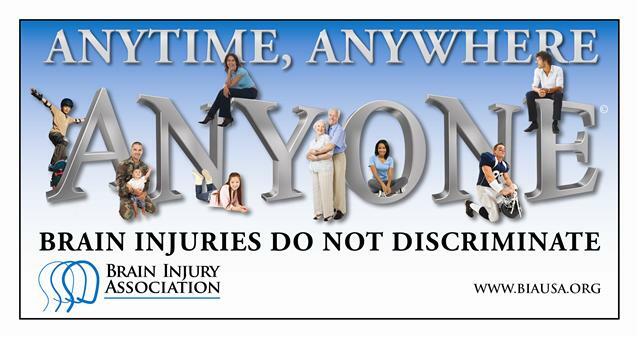 The topic of mild traumatic brain injury and/or concussion has been in the news for several years. The release of a major motion picture, a concussion sustained by a professional sports star, or the passage of a law tends to rekindle interest in the topic. Recently, another issue was linked to concussion — the concern of suicide. But, I am optimistic. Why? By nature, I’m an optimist, but I’m also hopeful that parents, community leaders and politicians will pay attention to the epidemic of suicide in our country. When I worked in the U.S. Navy, one of my careers was serving as their Suicide Prevention Program Coordinator. Every death by suicide crossed my desk. The number of Marines and Sailors who attempted and completed suicide staggered me. In our country, the number of people — servicemembers or civilian — who die by suicide is almost too much to comprehend. Compared to 16,000 homicides each year in the U.S., the number of suicides is nearly double that at almost 32,000 a year, most due to untreated depression of some form. Let’s put those numbers in another perspective: In the last decade of our troops fighting in Afghanistan and Iraq, just over 7,000 Americans have made the ultimate sacrifice and almost 50,000 have been wounded. During that same time, more than 300,000 have died by suicide and more than 50,000 have been children between the ages of 14 and 24. The number of suicide attempts is in the millions. Researchers are also finding out that some of the consequences of concussion are linked to depression and suicide. Untreated brain injuries can lead to devastating consequences. My optimism lies in the hope that coaches, parents, athletes, and community leaders understand that the physiology of a concussion caused by a blow to the head or body prompts the neurons to function ineffectively due to a disruption of their normal chemical process. I’m optimistic that these same parents, coaches, athletes, and community leaders will make the connection that the neurological process of a concussion is to depression. That these neurons which govern our emotions and self-esteem for a variety of different reasons — the death of a loved one, loss of a job, bankruptcy, medical conditions — can lead to a disruption of the neurons and cause depression leading to suicide. I’m optimistic that people will realize that depression can be considered the “common cold” of psychiatric conditions and has a variety of effective treatment options. I’m optimistic that people will pass on the suicide prevention hotline number and website to those in crisis: 1-800-273-TALK and www.suicidepreventionlifeline.org. And finally, I’m optimistic that people will pass this blog and information onto at least FIVE other people and in doing so, might just save a life. 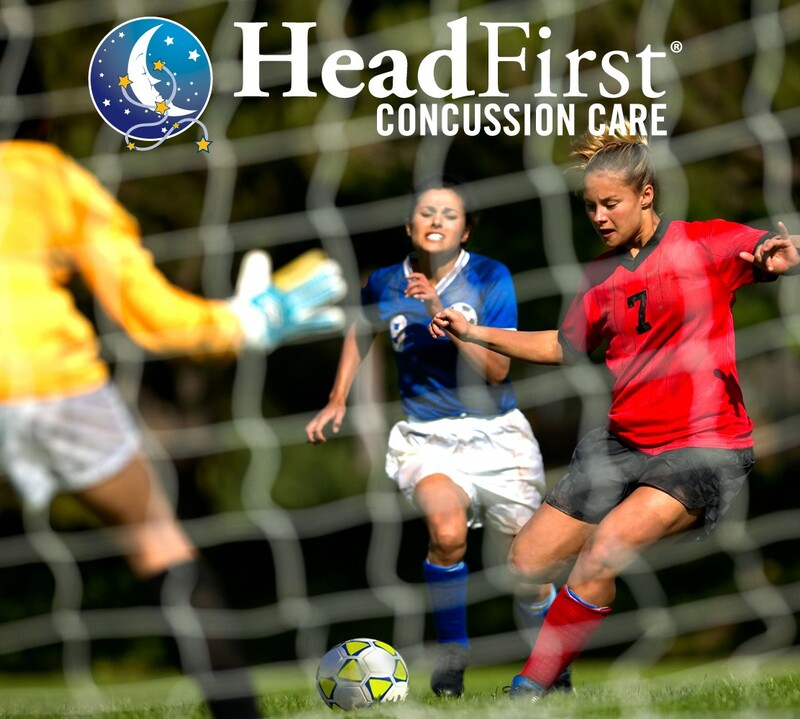 Since HeadFirst Sports Injury and Concussion Care launched just three years ago, we’ve already seen the tide turn about the public’s understanding of concussion (mild Traumatic Brain Injury or mTBI). We’ve gone from hearing “It’s a only a mild concussion,” and “You just got your bell rung a bit,” to an acknowledgment of the severity of this silent injury. Locally here in the Capital region, HeadFirst has been extremely active in hosting educational seminars for coaches and parents, and participating in dozens of community outreach programs. In 2014 alone, HeadFirst’s team of professionals participated in more than 80 community events reaching more than 180,000 people. These events included partnerships and sponsorships with the Brain Injury Association of Maryland, Hockey for Heroes (benefitting the Wounded Warrior Project, USA Warriors Ice Hockey Program and Disable Veterans of America), Sports Legacy Institute, Touchdown Club of Annapolis, as well as educational seminars for school and county recreational coaches and athletic directors, presentations for school nurses on concussions and mental health, and attendance at community health fairs. These groups have welcomed our educators with open arms to help their coaches and athletic trainers understand the right protocol in managing a suspected head injury, from those critical first moments to long-term treatment for proper healing. Our outreach programs are one of our cornerstones, we’d like to think they’ve helped change the traditional way of thinking about concussions. HeadFirst is also a gathering point for professionals from around the region to share their expertise. Our monthly Concussion Consortium pulls together physicians, neurologists, neuropsychologists, physical and vision therapists, and other specialists, school administrators and nurses, athletic trainers and coaches, who discuss scientific research and resources for concussion treatment and protocols. The Consortium often hosts a respected guest speaker who shares information about specific topics and issues related to concussion. Next week, we’re welcoming Sarah Loeffler, LCSW-C, of The Neuropsychiatry Program at Sheppard Pratt Health System in Baltimore, Md., who will discuss mTBI’s connection to anxiety and depression. Also next week, HeadFirst Chief Executive Officer Robert G. Graw, Jr., M.D., and HeadFirst Program Director Tony Doran, Psy.D., are presenting their lecture, An Integrated Community Model for Concussion: Update, at the Brain Injury Association of Maryland’s annual conference. Of course, all of this is in addition to our 11 clinics throughout the DC-Baltimore region, which is our reason for existence. From the thousands of neurocognitive ImPACT® tests we’ve administered to the patients for whom we have cared, we’ve heard amazing, heartfelt stories of the trials of living with a concussion and the willpower to overcome it. These serve as our inspiration to push ever forward. We continue to read emotional articles in the news about concussion awareness, including yesterday’s announcement of San Francisco 49er linebacker Chris Borland’s decision to retire due to the high potential of long-term brain injury from playing. Turning away from a lucrative career in the name of your health surely must be one of the most incredibly difficult decisions to make, and we applaud this young man for having the guts to make this choice. HeadFirst Sports Injury and Concussion Care is proud to honor March’s designation as Brain Injury Awareness Month, as well as Brain Injury Awareness Day today, March 18. Looking back, it’s been a fulfilling journey, albeit a short one. The starting line is still in our sights and we know the finish line is a long way off—and very likely will continue to move even as we do. Concussions can and do happen to anyone, anytime, anywhere. The non-discriminatory nature of this injury is what continues to motivate us to do our work.